Food Should Taste Good makes their chips with real ingredients. All chip varieties are Gluten Free. They are in the process of having certain varieties be verified Non-GMO. They also donate to a good cause, Play for P.I.N.K. I was sent four varieties. Kimchi, Multigrain, Sweet Potato, and Chocolate Tortilla Chips. We are a big snack family. We all enjoy snacking through out the day. 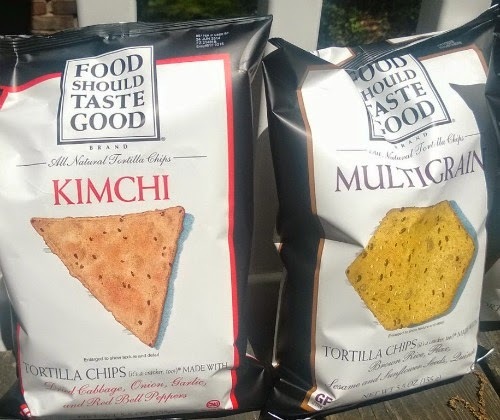 I was excited to try the Kimchi Tortilla Chips. They have a good "kick" to them. Not too spicy, just right. The multigrain chips are very healthy tasting. They go great with some fresh salsa. These chips are made with Flax, sunflower and sesame seeds. They would also be a great snack to take with you while hiking or walking through the park. 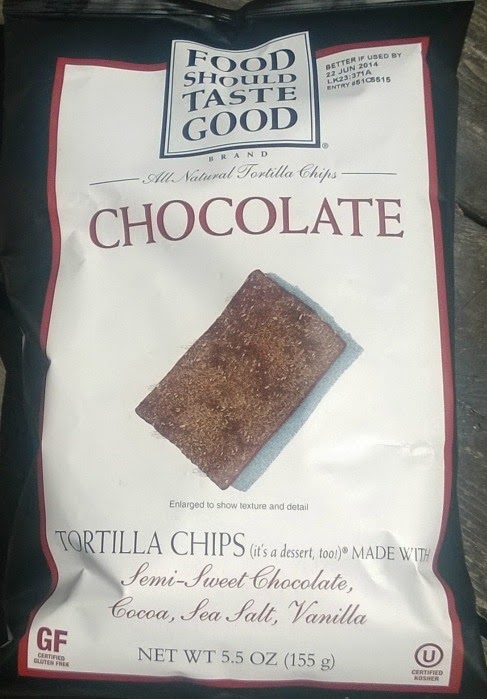 Chocolate Tortilla Chips! "What?" That's what I first thought. I never tasted one before, until now. I think they are great for the times you don't want something too sweet. They have a light chocolate taste with a light salt flavor. I love salt and chocolate together. 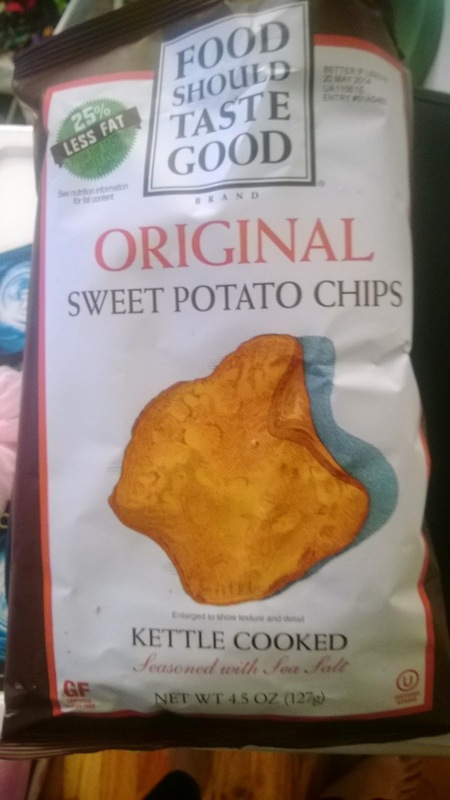 And last but not least, Original Sweet Potato Chips. These were my favorite out of all four chip varieties. I love sweet potatoes and again, sea salt. I might have had half a bag in one sitting. Okay everybody time to go snack! Have you ever tried Food Should Taste Good chips before? If not, what flavor looks good to you? Check out Food Should Taste Good website here. You can like them on Facebook and follow them on Twitter.